What a shiny new roof means in the village of Kozokala, Northern Ghana. Kojo is 32 and lives in a village community called Kozokala, just outside of Jirapa. Life isn’t easy, but it has improved immensely during the last two years. Previously Kojo and the other men from his village had to travel south for work leaving the women behind to look after the children. The men worked hard as farm labourers but were paid very little. They saved everything they could to bring back to the family at the end of the season. Life for the women of the village wasn’t much better. They would spend months alone with the children carrying the burden of caring for the family, and cultivating a small vegetable plot that yielded very little. Hardly any of the children in the village went to school, as the family couldn’t afford uniforms, books or pencils. No one in the family had health cover, even though a card only costs on average £5 per year for an adult and half that for a child, so becoming ill was a scary prospect. Kojo had seen major transformations in other villages. At first he noticed how much greener and bigger the crops were. He also noticed that the children were going to school. He desperately wanted this for his own community. He then found out about the partnership between St Joseph's Cooperative Union and Deki. He learnt that the other village had been trained in farming skills Deki's Field Partner and then had been given a loan to buy the seeds and other equipment required. As the head of the village he discussed the idea with his community and they decided to apply for loans too. They were nervous but excited. They spoke to the loan officer at St Joseph’s Cooperative Union, applied and waited a few months to hear whether their loans had been funded. He says when they heard it was the best thing that had happened to the village. They celebrated with a lot of singing and dancing. The money from each loan was invested in simple items: people purchased groundnuts, maize and millet seeds, simple tools and fertilisers. The village then worked as a group to improve each other’s plots, ready for the rainy season. Kojo points to the surrounding mud huts to show me the difference the loans had made. Nearly all of the huts had shiny aluminium metal roofs now. Before they had been made of straw, which needed to be changed every year and even then there was a risk that it would collapse in the rainy season. The benefits of the new roofs don’t end there. Firstly, they don’t let the mosquitos in, so they are protected from malaria and secondly, they are not so damp, so there is much less risk of babies and small children becoming ill.
One thing that really struck me about Kojo was how pleased he was for the women in the village who were much happier now. This is because they now live on a working farm where their vegetable plots thrive and they now have goats, which they use for meat, milk and to sell. Now the women are bringing in an income, they have a voice in the community and because they now also work the men have a much more hands-on role with children. 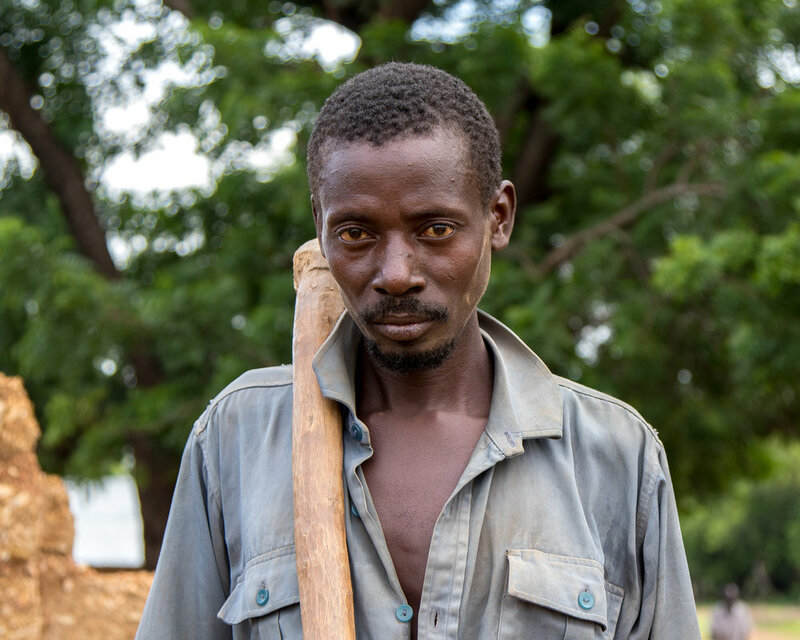 Kojo and the village are now on their third loan cycle, each one steadily improves their standard of living. Kodjo proudly tells me he now even owns a motorbike. This means that when people in the village get sick they no longer die because they were unable to get to hospital, he can take them there! It is amazing to see the huge transformation of the whole community not just economically, but in the health and wellbeing of everyone in the village. They are all learning and growing, and the most important thing, the change will affect future generations.